At around six months of age, teething is something every baby goes through and it can be difficult time for both you and your child. Babies that are teething tend to be quite fussy, as well as keep mom and dad awake most of the night. Even the calmest of babies can become quite rowdy when they are teething. You never want your child to be in pain, so as parents, when your baby is teething and suffering from sore and sensitive gums your natural instinct is to want to do something to help them relieve that discomfort. 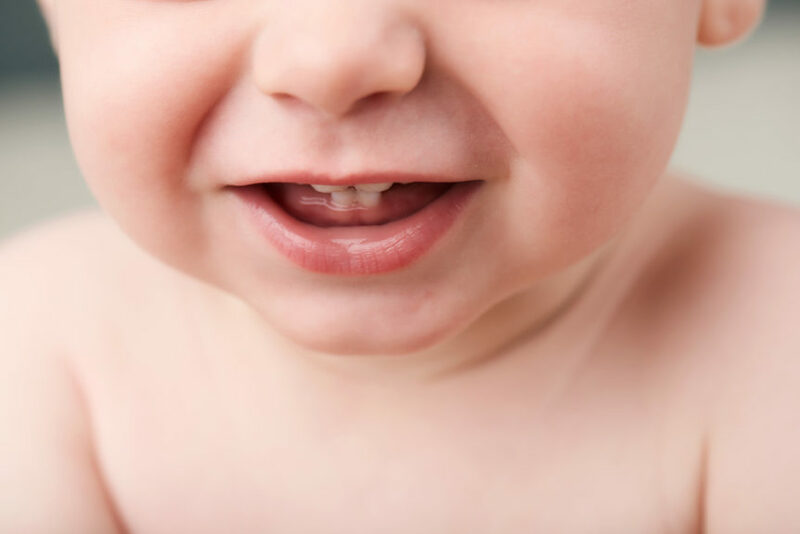 What can I do to help soothe my babies’ gums? No parent wants to see their child in discomfort, but luckily there are some steps you can take to help alleviate your babies’ teething pain. Check out these tips and tricks to see what works best for your baby.. The normal items around the house that your baby uses can be frozen or refrigerated and given to your child to help relieve pain such as, a frozen pacifier or frozen baby spoon. Teethers are made specifically for babies that are teething and can be a wonderful helper in this time of your lives. Try your nearby baby section or shop and check out the teethers they offer. Pressure will help to relieve your child’s pain, which is often why you will find they are biting on hard objects. You can use a clean finger to gently rub on their gums and see if this helps ease their discomfort. There are also teething toys that are made for biting and will help your baby’s gums. During this time, try not to become stressed or frantic when your baby is stressed as they will pick up on these emotions. Try to soothe and calm them by the methods you normally use. Hold them close, rock them, give them a warm bath, sing to them, or breastfeed them. There are over-the-counter teething gels that you can look into for your child, although we highly suggest going as natural as you can, such as a homeopathic formula. If the natural soothing methods just aren’t doing the trick, another option is baby ibuprofen. When your child’s teeth come in, you should take them to see a pediatric dentist to have their gums and teeth checked. This appointment should take place before or by your child’s first birthday. From then on after, your child should return to the dentist for a checkup every six months. If you are looking for a trusted and caring pediatric dentist in Irving, here at Cosmetic and Family Dentistry, we can help. We know choosing your child’s doctors can be a difficult decision, and that is why we want to reassure you in your choice to bring your child to our excellent dental team. If you have any questions or would like to schedule an appointment, please don’t hesitate to contact us today.